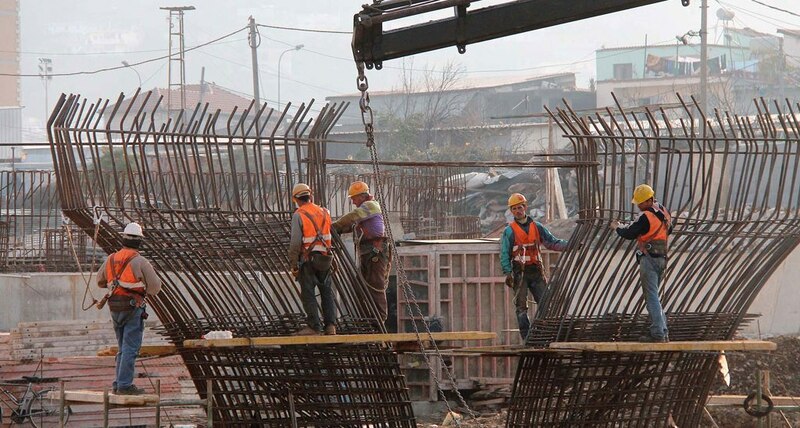 There’s no turning back for the construction sector in Albania and this, not only because of the increasing number of construction permits being issued by institutions, but also due to the costs associated with this sector. Recent official figures seem to indicate an increase in their cost, confirming that it’s becoming more and more expensive to build in this country. As a result, properties are more expensive than before due to these costs. According to the country’s agency of statistics, INSTAT, the Construction Cost Index in the first quarter of 2018 registered an increase of 0.5% compared to a year ago. This is translated into higher costs and more expenses for building companies. “Compared to a year ago, transport expenses grew by 2.1%, miscellaneous costs grew by 1.9%, labor costs grew by 1.7%, while material costs grew by 0.5%”, experts of INSTAT say. As far as the increase of transport costs are concerned, this is explained by the increases in the price of fuel from one year to another. Meanwhile, the increasing labor cost is explained by the fact that a construction worker is paid more than a year ago. However, the most important cost in construction, material costs, did not register a very large increase. But, will these cost increases be translated into an increase in the price of buildings? In fact, according to experts, this will not lead to an immediate rise in the price of sale, although there may actually be some sort of impact. According to the Housing Authority, the cost of construction in Albania ranges between 32 and 33 thousand lek per square meter, while this cost differs slightly from one municipality to another.